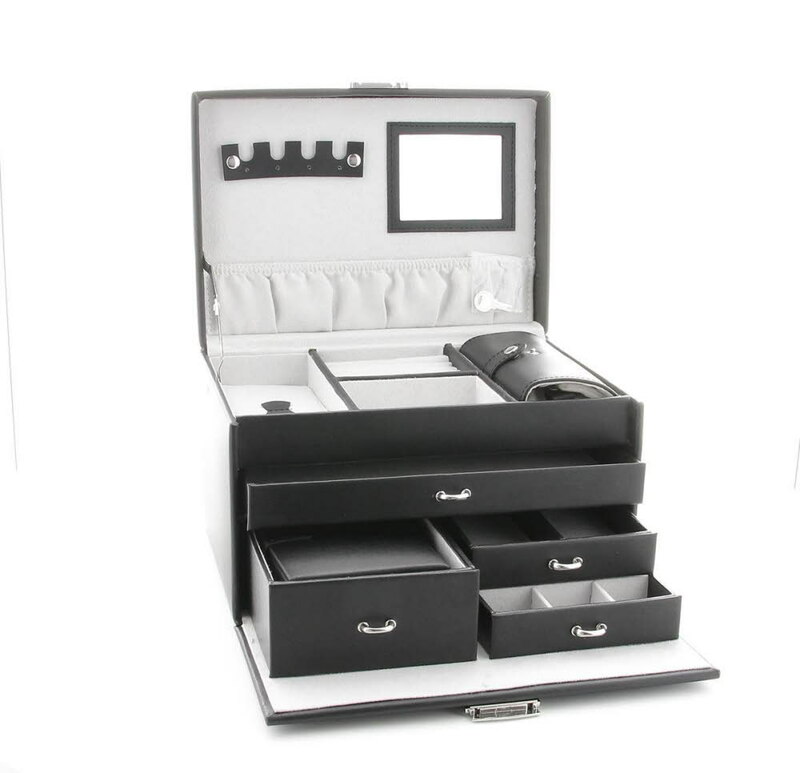 Black Bonded Leather Duchess Jewellery Box. The black bonded leather jewellery box has a small mirror on the underside of the lid together with necklaces hangers and a handy pouch.The top section contains four different sized compartments for the storage of smaller items and a jewel roll travel holder. The front section comes down to reveal four drawers - the first drawer is for larger flat items and two are divided into different sized sections to organise your jewellery, the last drawer contains a second removable travel compartment holder. This beautiful box measures 26 x 18 x 17cms.